Tokyo 15 Nov. Encouraging and preserving traditions in Indian music, sitar player Dr. Chandrakant Sardeshmukh and his wife Dr. Pooja , starting from 2008, through their Darshanam organization will set up a yearly scholarship award for a young aspiring musician who is committed to traditional Indian music. This year the award will be given to Sagar Morankar , student of Pandit Uday Bhavalkar who is learning the rare form of rendering ragas in Dhrupad Dhamar style. The award distribution organized by Swaranand will take place on 25th November 2008 for the occasion of the 88th birth anniversary of Shri Sardeshmukh Maharaj, father and guru to Pandit Chandrakant and father-in-law and guru to Dr. Pooja. Shri Sardeshmukh. Maharaj devoted his life to promotion of traditional Indian arts, sciences and culture through teaching and guiding many disciples. The award program will start at 6:00 P.M. on Wednesday, 25th November at Manohar Mangal Karyalaya in Pune City . After the award ceremony, there will be a short performance of Dhrupad singing by Sagar Morankar. This will be followed by a traditional Indian sitar performance by Dr. Chandrakant Sardeshmukh. This e vent is organized by Swaranand Pratishthan ( www.swaranand.org Marathi only). Swaranand is a organization of music lovers, singers, producers and directors. For over 25 years Swaranand has given theme based music programs with beautiful melodies based on famous compositions of renowned Marathi singers and composers. Swaranand also yearly hosts award distribution during its anniversary function. This year Swaranand is organizing a separate function for this Sardeshmukh Maharaj award distribution. Dhrupad is the most ancient form of Indian Classical vocal and instrumental music. For centuries it has been practiced all over India with regional differences in presentation, compositions and techniques. Today aspects of the Dhrupad heritage can still be traced in the main vocal and instrumental styles of India but the pure Dhrupad tradition continues. Above all, the spiritual and contemplative nature of the music is maintained as it was in the 12 th Century. Dhrupad's purpose has always been for worship rather than for pure entertainment and the atmosphere created by the music is one of beauty and serenity. In fact, the word Dhrupad is derived from Dhruva , the steadfast evening star and Pada meaning poetry. Pandit Uday Bhawalkar ( www.udaybhavalkar.org ) is a fine exponent of Dhrupad singing. He learnt in the traditional Guru Shishya system for 12 years with world renowned Dhrupad singers Ustad Zia Fariduddin Dagar and Ustad Zia Mohiuddin Dagar. He currently travels throughout the world and promotes this rare form of singing. Sagar has been student of Pandit Uday Bhavalkar and learning from him in Guru Shishya tradition. He is following Pandit Uday's footsteps in taking Indian traditional music to the next generation. Unlike all of us who are reading this, Sagar is not blessed with sight. This makes it very challenging to learn traditional Indian music, as he relies more on what he ‘listens to' rather than what he ‘reads'. Shri P. K. Sardeshmukh Maharaj, a renowned Vaidya, representing the 9th generation of Vedic arts and sciences, had a vast knowledge of traditional Indian texts (Vedas, Shastras and Puranas). His knowledge and wisdom augmented by his spirituality and vision, guided nationally and internationally, many a deserving candidate seeking advice in a variety of fields. Many of his students have shown extraordinary ability and excellence in their chosen field of studies. He was very patriotic and inspired several young people through his vision and positive guidance for a bright future for themselves and for India . He was renowned for his thorough knowledge of traditional Indian music and guided several musicians and performing artists. 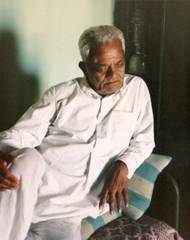 He passed on his traditional knowledge of Ayurved to his children and grandchildren. His son Dr. Sadanand and his daughter Dr. Sudha are well known Ayurvedic practitioners. His grandson Dr. Sukumar has become an Ayurvedic doctor and another grandson Sushrut will become an Ayurvedic doctor in the near future. Shri. Sardeshmukh Maharaj founded the Bharatiya Sanskriti Darshan Trust (BSDT) in 1954. He left this world in 1996 and took Samadhi on his own land which he donated to the trust for the main purpose of promoting traditional Indian arts and culture in the world. His sons, Dr. Sadanand (chairman) and Dr. Chandrakant (executive trustee) manage the trust which has flourished with the Ayuvedic College and treatment facilities, Aids and Cancer research projects as well as promotion of traditional Indian music internationally. Pandit Dr. Chandrakant is a renowned sitar player and a student of Pandit Ravi Shankar and Guru Ma Annapurnadevi. He has been promoting traditional Indian music and Ayurved abroad especially in Japan and Australia since 1990. On his website www.darshanam.com Dr. Chandrakant dedicates his work and music to his father, who was his mother, father and guru. Darshanam is a voluntary organization that has been promoting traditional Indian art and culture in Japan and Australia since 1990. One of the main aims of Darshanam is to encourage young people to experience and perform traditional Indian music and Ayurved organizing various events globally for this purpose. This is possible due to the auspicious guidance of Dr. Chandrakant (www.darshanam.com) who is director of the BSDT music department. In 2007, for the Japan India Friendship Year celebrating 50 years of cultural relations, Darshanam produced several concerts in collaboration with Japanese artists. Dr. Sadanand Sardeshmukh is an internationally renowned Ayurvedic Vaidya. Who guides the Ayurved section of Darshanam. He periodically visits Japan , Australia , America and Europe for health counseling internationally. Dr. Pooja, wife of Dr. Chandrakant, an international administrator of Darshanam, is a devoted disciple of Shri. Sardeshmukh Maharaj. She has a Ph.D. in electronic science from the University of Pune . She has done post-doctorate research at Nagoya University and has been a management consultant in Tokyo to various IT companies for the last 14 years. She has initiated several joint venture projects between India and Japan .